I discovered something very interesting the other day when I went shopping for staples before the big snow storm – whole food vegans don’t have to worry about food shortages in weather emergencies. We buy our fair trade organic coffee online so that was already in the freezer. And, while the aisles for milk, bread and convenience foods were nearly bare, I had my choice of fruits, grains, rice, beans, nuts and “milks”! The only thing I seemed to have in common with the other shoppers was toilet paper! 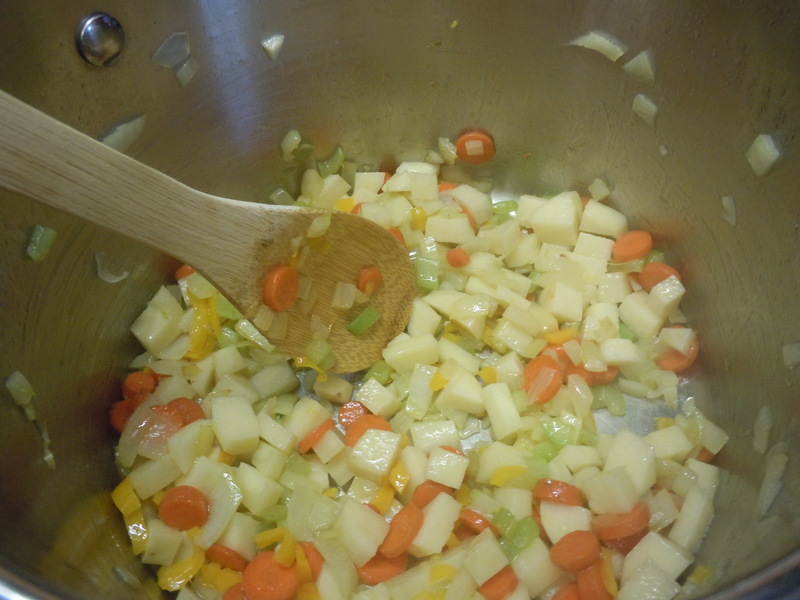 Saute the onion, garlic, celery, carrots and pepper in the olive oil until translucent. 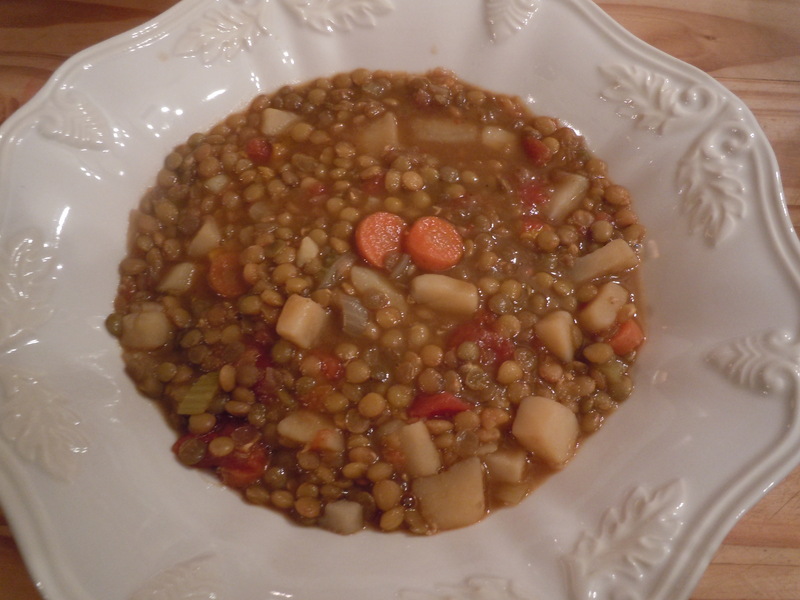 Add the potatoes, tomatoes, lentils, broth and spices. 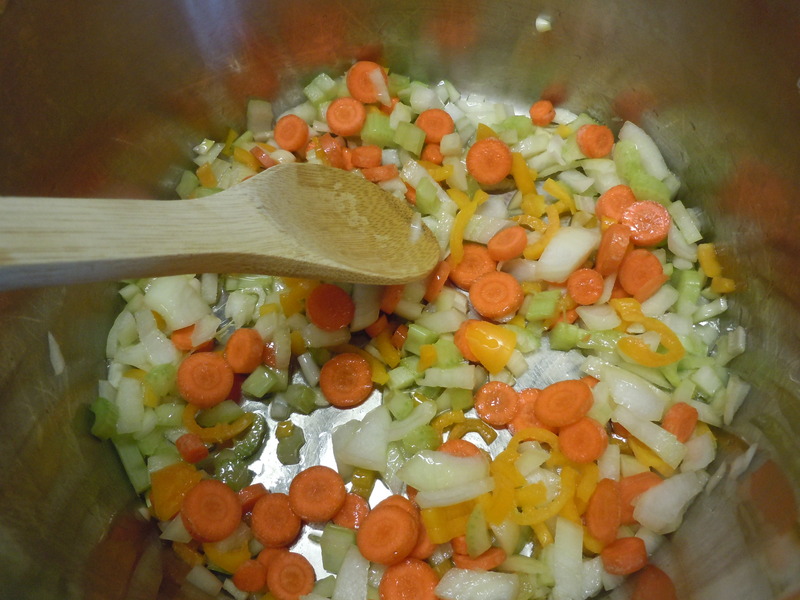 Bring to a boil, reduce heat and simmer until the lentils are tender, adding more water if needed. (about 45 minutes).